Toyota said Monday it would join “green vehicle” competitor Tesla in opening up its patents to rivals. 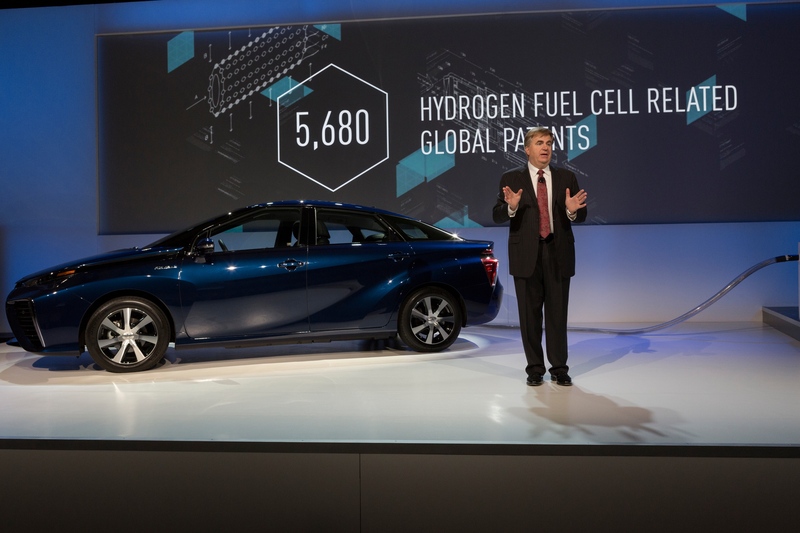 The Japanese company announced at the Consumer Electronics Show it will release about 5,680 fuel-cell patents related to the technology for the fuel-cell Mirai sedan for public use. 1,970 on fuel cell stacks. 290 on high-pressure hydrogen tanks. 70 on hydrogen production and supply. Want one? If you’re a fuel cell vehicle manufacturer, supplier, or developer of a fuel-cell “gas station,” you can have a patent through about 2020. The patents on production and supply are fair game forever. (One would think the sun, or physics, already had the patent on this one anyway) If you’re not in the transportation business, you should still give Toyota a call, according to the company. They might opt to share their fuel cell work with you too, the company said. Like Tesla, whose announcement came in June 2014, Toyota isn’t really making these patents “free.” Both companies would like a technological quid pro quo. Learn about Tesla’s in this Transport Evolved post. 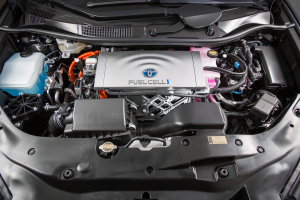 “As part of licensing agreements, Toyota will request, but will not require, that other companies share their fuel cell-related patents with Toyota for similar royalty-free use,” Toyota said in a news release Monday. They both likely plan to benefit from the long game. And while Tesla CEO Elon Musk is heavy on citing the environment as his rationale and Toyota Motor Sales Senior Vice President Bob Carter spun fuel-cell cars as “the future of mobility,” both companies might more likely be interested the opportunity to be the accepted standard for how to make an alternative-fuel vehicle — both in overall consumer preference (battery versus fuel cell) and within their own subset of the industry. As Toyota noted in its news release, it licensed hybrid technology and ended up with similar success in that subset vehicles. Ford and Nissan now use Toyota’s work for their hybrids, the Wall Street Journal reported. The Financial Times reported in June that BMW and Nissan were looking at working together with Tesla on charging station development, though BMW and Tesla said the close timing of a BMW-Tesla meeting and Musk’s patent announcement was coincidental. Toyota’s move just half a year after Tesla’s might help avoid a VHS-Beta situation, where one competing format gains wider licensing and partnerships and dominates another who hasn’t developed that kind of network. Whichever vehicle technology consumers see as more available (and more serviceable in terms of fuel and repairs) could win the alternative-fuel battle here.